Ele.me is valued at $9.5 billion. 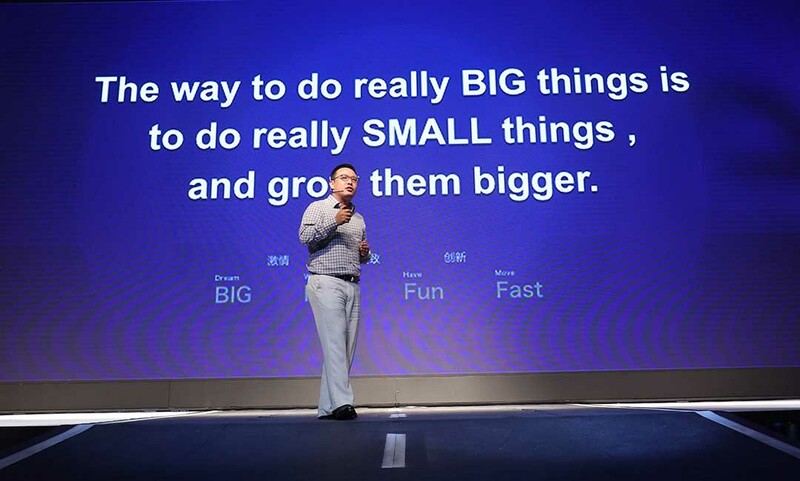 Alibaba, along with its financial affiliate Ant Financial and Chinese food tech startup Ele.me, jointly announced on Monday that Alibaba and Ant Financial are taking full control of Ele.me in a deal that valued the Shanghai-based startup at US$ 9.5 billion. The move came as Alibaba is doubling down on the last-mile delivery capacity which is critical to its new retail strategy, one of the top priorities for Alibaba in recent years. It’ll also help Ele.me, now with Alibaba’s full support, to better compete with Tencent-backed Meituan-Dianping, which is the world’s largest O2O e-commerce platform. Ele.me, meaning “Are you hungry yet” in Mandarin Chinese, will remain an independent brand after the buyout, said its founder ZHANG Xuhao in an email to his employees on Monday. After the deal, Alibaba’s VP WANG Lei, former head of Taodiandian, Alibaba’s on-demand food delivery department, will take office as CEO at Ele.me, while ZHANG will stay as chairman of the company and the special assistant to Alibaba CEO ZHANG Yong in new retail. Ele.me, founded in 2009 in Shanghai, claims to serve 260 million users in 2000 Chinese cities, covering 2 million merchants with its over 3 million riders. The startup has a strong foothold in delivery with a vision to send literally everything to buyers’ doorsteps within 30 mins. The Buyout of ele.me will allow Alibaba to enhance its last-mile delivery ability to also improve its Koubei lifestyle e-commerce service. According to a report by market research firm iiMedia Research, Ele.me is the most popular food delivery app in China, with a 54.9% market share after acquiring Baidu’s takeaway delivery unit Baidu Waimai. Meituan-Dianping, a prominent rival to Ele.me holds a 41% market share, according to the iiMedia report. Alibaba and its financial subsidiary Ant Financial invested $ 1.25 billion in ele.me in April 2016 and Alibaba made another strategic investment of RMB 100 million ($ 15.9 million) in the startup in May 2017, according to data compiled by data service Jing Data.